Finding accommodation that suits a family with teens can often be challenging. You want to give them some freedom and a room of their own, especially if they are older, but you also want to have them close and know their comings and goings. If you’re travelling to the Gold Coast then I recommend a two-bedroom suite at Australis Sovereign Hotel Surfers Paradise. 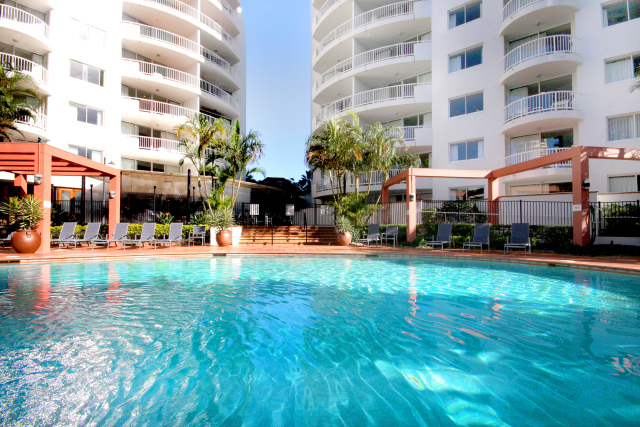 This resort-style hotel, located on Ferny Avenue, is ideal for families, as it’s close to the beach and within easy walking distance of Cavill Avenue shopping strip.